The sixth update to The Elder Scrolls Online weights in at 20-25GB, making it the heftiest update the game has ever seen. But for good reason: It implements two major new systems, Justice and Champion, and makes a significant number of changes to provisioning, pet and mount management, combat animations, and game balance. Originally revealed late last year, the Champion and Justice systems offer a couple of new paths to glory in the world of Tamriel. The Champion System awards Champion Points to players of Veteran ranking, which can be put into a variety of new passive abilities that increase health, stamina, magicka, and add powerful bonuses based on the Warrior, Mage, and Thief guardian constellations. "The passives offered by the constellations are diverse and allow you to customize your characters to your liking, no matter what kind of build you have in mind," the Champion System guide explains. "Each constellation is comprised of individual stars, each with their own special bonuses. You can spend a total of 100 points on each star in a constellation." The Justice System, meanwhile, is all about being bad: Players can now pick pockets and commit burglaries, fence their stolen goods, murder NPCs, and worse; but bounties follow those who leave witnesses, and guards—possibly lots of guards—follow those who have bounties on their heads. Fortunately, you can always slip the Man some coins to wipe the slate clean. A number of balance changes have been made as well: Light armor, for instance, now provides one-quarter of the damage mitigation of an equivalent piece of heavy armor, while medium armor provides three-quarters the value. Spell resistance has also been tied to armor, and critical resistance now reduces the bonus damage caused by a critical hit, rather than the chance of getting pasted with one. 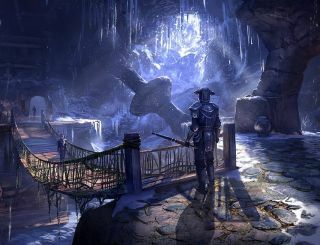 The update also adds a user interface for the Crown Store, but it won't be enabled until the launch of Tamriel Unlimited—that is, the subscription-optional version of The Elder Scrolls Online—on March 17. The full list of additions and changes is long—really long—but if excruciating detail is your thing, you can give the full patch notes a look in The Elder Scrolls Online forums.